Long lead times are a common yet not so welcome fact when buying furniture. Furniture 123 have decided to put an end to that by offering more than 1000 of our best selling products with next day delivery. What’s more this service does not cost any extra so delivery is still free on everything! The next day delivery store covers all areas of the home: from beds and dining sets to complete furniture packages and suites. Irresistibly pure and simple, the Newhampton Dark Oak range bestows a unique ambience to bedrooms of any shape or size. Behind the characteristically clean and uncluttered lines, each item is constructed from the finest solid oak timbers and veneers, enriched with a warm dark oak stain that is sealed for long-lasting durability. 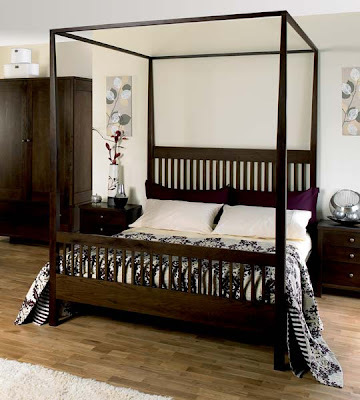 If you’re searching for that stylish bed that will make a stunning centrepiece in your bedroom, then look no further than the Newhampton Dark Oak 4 Poster Bed Bed. Its traditional 4 poster design is a sophisticated contrast to the modern lines and dark oak tones, meaning it will create a lasting impression in any bedroom. Bold and modern, Calla Oak combines fashionable style with excellent value for money. It's also a versatile range and the perfect solution for modern living. Contrasting an oak finish with padded microfibre upholstery makes a strong style statement. The large sleek table top offers plenty of room for mealtimes, and is the perfect way to serve up family feasts or small snacks. A practical and easy to use end extension is perfect for when you require that extra room for dinner parties and other occasions. The natural oak finish complements the modern aesthetic beautifully, meaning this dining table will transform any dining area, making it truly memorable. The Picoult Sofa Bed in Brown not only makes a fantastic sofa for your living room, but also folds down to create a spacious bed for guests. 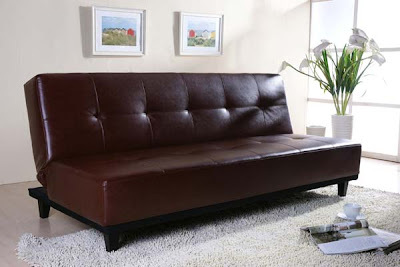 The soft brown faux leather upholstery and minimal aesthetic ensures this sofa bed will be a welcome addition in your home. With luxuriously deep padded seat and back rest, it’s perfect to sink into and relax after a long day. Plus, the great price means this sofa bed combines practicality, impeccable style and affordability all in one handy package. 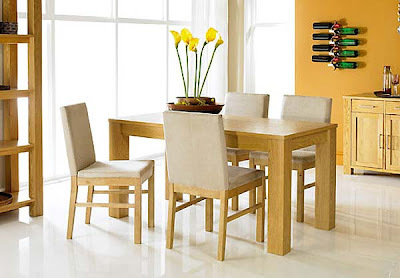 Established in 1999, Furniture 123 (http://www.furniture123.co.uk) is the UK’s most experienced online furniture retailer offering a fantastic selection of items for every room in the house, as well as the garden, all accessible from the comfort of home. All products sold on Furniture123.co.uk come with free delivery to mainland UK, including over 1000 items with next day delivery. A 7 day money-back guarantee ensures that customers are able to receive a full refund if they change their mind about their purchase. Read our Blog ¦ Become a fan on Facebook ¦ Follow us on Twitter Pin It Now!